It is now the staple at every desi wedding to have matching bridesmaid saris, salwars, or lenghas. Yet the steps to suiting up your best friends and close family can be a tedious process. If you don’t have enough room in your luggage to take everyone’s sample blouse or salwar to India, it may be better to just take the actual measurements. Measurement Sheet. 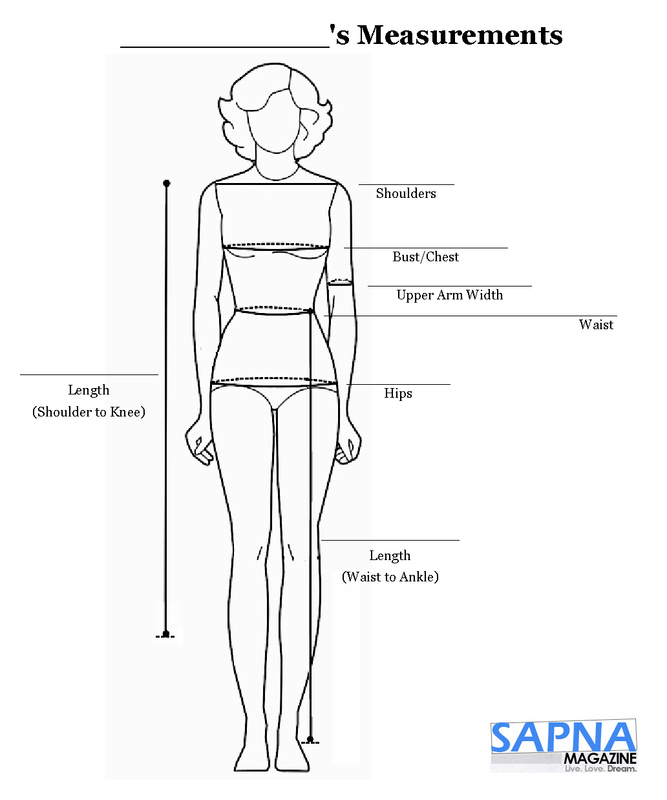 When tailors in South Asia measure for custom made clothing, they are very exact about where to take the hip, chest, leg etc measurements. So your friends have to be equally exact to ensure proper fit! 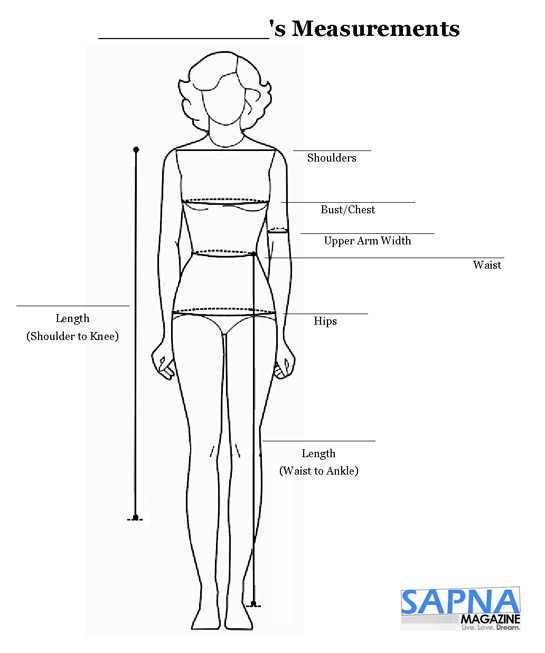 Some rules of thumb are: the waist is the smallest part of the waist, the hips are the widest part of that area, and the chest is the widest part of your torso.Â Click on the image below and you’ll see a larger, printable version! Measuring Tape. Who in this world doesn’t own a measuring tape? When it comes to getting your bridesmaids to measure themselves, you’ll soon find out that not everyone does! Not to mention, acquiring one might take an Odyssey journey.Â Make their life easier and minimize the excuses by directing them to Printable Measuring Tape (provided by shopify.com). Data Collection. The last step in the process is collecting all these measurements! There are two ways to package up this information in a neat, ready for tailor bundle. The first method is having each bridesmaid fill out a measurement sheet, so the tailor can visually see each girl’s measurements. The second step is creating a Google Form.Â Your bridesmaids will fill out a form and their answers will populate a neat excel for you. In this day and age, most people have a gmail account, so to begin the form building fun check out this How to Build a Form video! Your bridesmaids do not need a gmail account to fill out the form! Good luck! Make sure to share your pictures in the SAPNA Shaadi gallery.